Breast Cancer Ribbon Stick Flag - 4x6"
During the month of October, pink ribbon flags and banners are seen everywhere reminding us to support the cure for breast cancer during Breast Cancer Awareness Month. 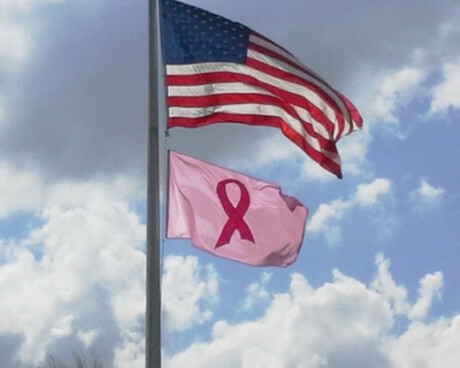 At Gettysburg Flag Works, we have a large variety of breast cancer awareness flags and banners. 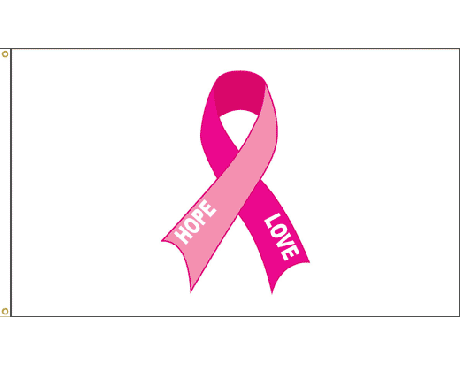 Show your support this October with a breast cancer flag or banner. Displaying breast cancer awareness flags and banners at your home or business is a great way to show your support for those impacted by breast cancer. 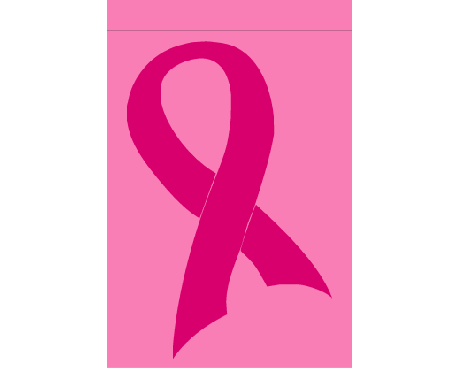 Whether you're looking for breast cancer stick flags or full size breast cancer awareness flags, we have just what you're looking for. 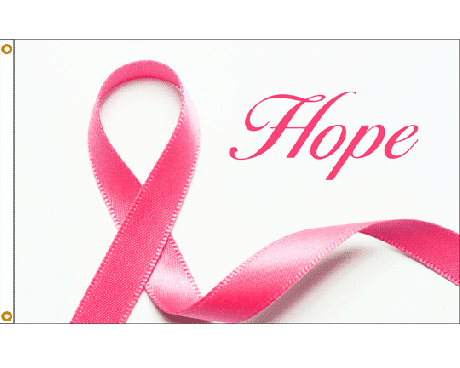 Planning a Breast Cancer Awareness Event? 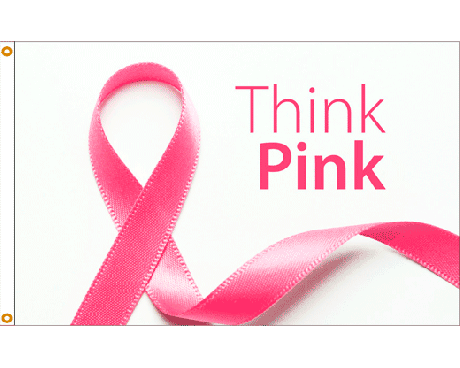 Are you planning a breast cancer awareness event? Each year, thousands of people across the country give their time, energy, and resources to bring awareness to this cause. Whether you're a hosting a 5k or a community event, you can help raise awareness for your event with our breast cancer flags and banners. 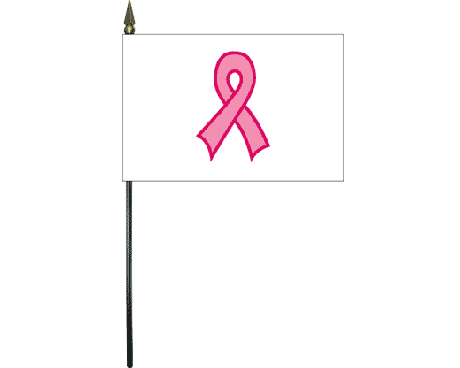 Our breast cancer awareness flags come in wholesale quantities, making them the perfect option for fundraisers and events. 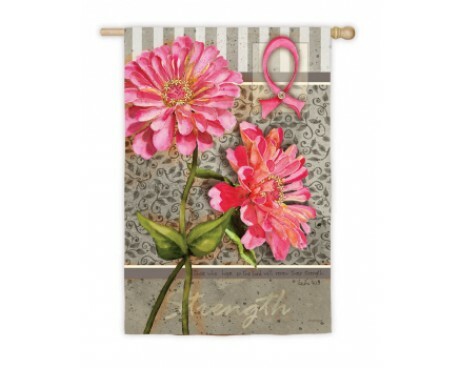 Looking to create a custom flag to honor someone special or promote your breast cancer awareness event? We can help with that too! 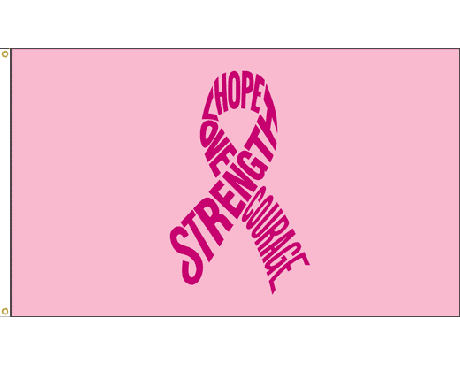 With our custom flag options, you can create a breast cancer awareness flag that matches your exact specifications. Learn more about custom flags here. Shop our variety of breast cancer awareness items for the perfect way to show your support for this important cause. Have questions? Contact us at 1-888-697-3524 or send us a message online and we’ll get right back to you with the information you're looking for! Interested in flags supporting other causes? Check out our wide selection of awareness flags.